Turn a 3.5" SATA Hard Drive into a UASP-supported USB 3.0 External Hard Drive. The S3510BMU33 Black USB 3.0 Hard Drive Enclosure with UASP lets you connect a 3.5in SATA III hard drive (HDD) through an available USB port. 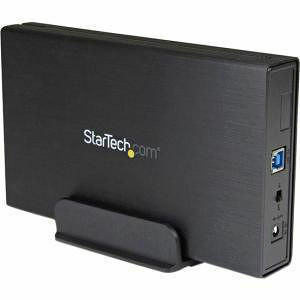 The enclosure delivers optimal performance with a USB 3.0 connection, but is backward compatible with USB 2.0/1.1 host connections as well.